The 225 LS-2 heads feature all of the same design advantages of the LS-1 with the addition of a 4.00" bore combustion chamber, 2.055" intake valve, 225cc intake runner,and a 65cc combustion chamber volume. We also offer a 70cc chamber option for forced induction applications. Note:Flow numbers are based off of an average of 5 heads tested. All flow numbers are tested on a 4.030" fixture @28"h20, using an intake radius plate, and a 4"x 1-7/8"pipe on exhaust. 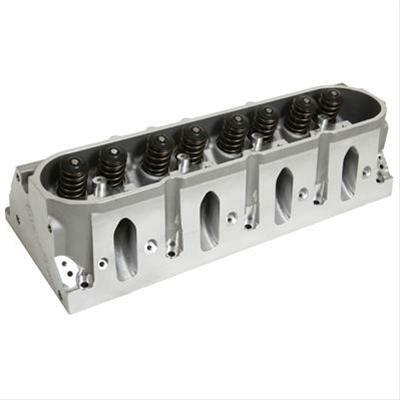 Exhaust Port Dimensions: 1.460" x 1.6700"
Valve Covers: OE bolt pattern, raised 0.200"